I didn’t get chance to look for a dog until I got back to Bolton today. I went for a walk at the bottom of my parents street but it was very quiet about. I had to walk for a good 15 minutes until I spotted a very happy looking dog in the distance. I was very pleased to meet Hewie, he’s a lovely, friendly boy and likes to lean into peoples legs for a cuddle! I got a cuddle and a kiss from him! 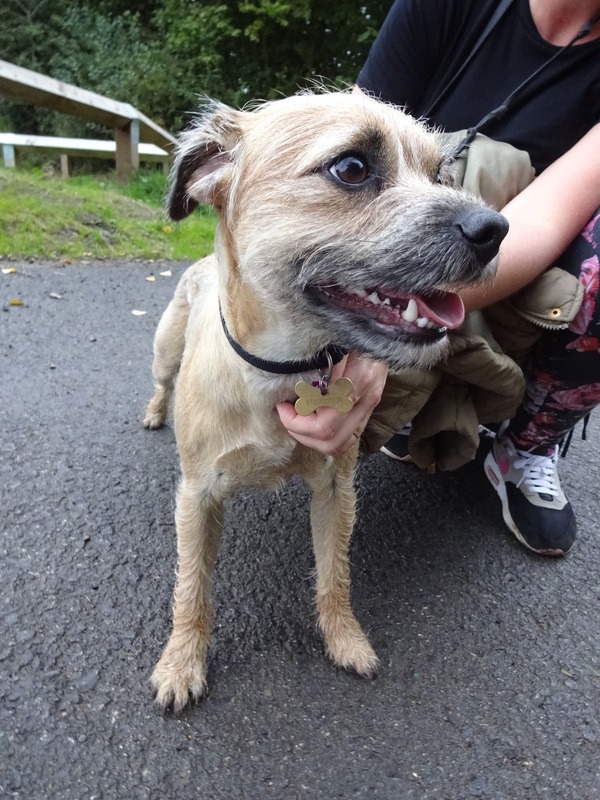 Before Hewie’s humans got him they did lots of research about what breed to get; they wanted a small dog but with a big personality and they definitely got that in Hewie! Hewie has two human siblings; they’re best buds. On Christmas day Hewie got very excited, more excited than the kids and ripped all of the open his presents in no time! His tennis balls didn’t last for very long! Favourite food: Eggs! Hewie really loves scrambled eggs and always eyes up his humans when they have some! If Hewie won’t eat his dog food his human mummy will make him some scrambled egg and sprinkle it on top! Favourite toy: Tennis balls but he destroys them in minutes! He now has a Kong toy which he hasn’t managed to destroy yet!